The Winter Art Collection, with its cozy scenes, icy peaks, and snow-trodden trails, inspires the best aspects of winter. As days shorten and temperatures drop, explore the joys of winter from the comfort of the great indoors. Nava Lundy’s Five More Minutes, rekindles the feelings of a breathless anticipation felt by a child during the holidays. The painting shows two children (one imagines on holiday vacation, hungry for a snack after a demanding day of ice skating) with noses pressed against the oven door waiting for cookies to bake. Nava’s signature impressionism devotes itself to memory. First Frost by Charles Kacin is a celebration of the new textures that snow offers. The earth becomes, quite literally, a blank canvas for footprints, branches, and other natural imprints. This abstract artwork shows the textural quality of the first frost. 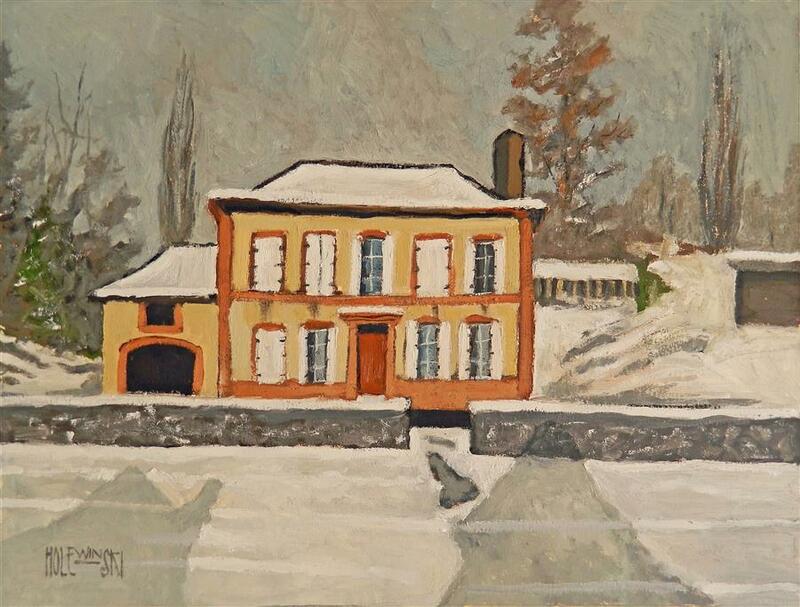 House Near Monyeuvre-Grand is a winter scene of eastern France. In this oil painting, winter takes on a painterly role, giving the subjects a special beauty inseparable from the season itself. The snow-covered roof expresses the beauty of winter while acknowledging its fleetingness. Here, winter is a condition applied to the subjects and is not its sole mode of existence.